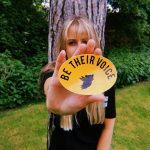 Tally Spear releases her second self-funded, self-releases single in September 17, along with a music video she directed herself in her back garden, and self-edited in her bedroom. Days Like These was featured on numerous publications such as Vents Magazine, Music and Riots, BritznBeatz, as well as being played twice on BBC Introducing London. Days Like These was also playlisted on Spotify’s official playlist Feeling Acoustically Good.